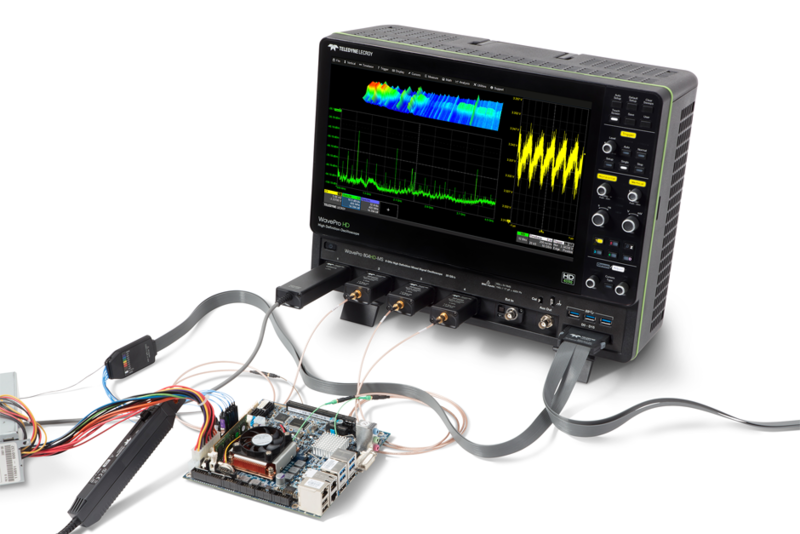 Next-generation Teledyne LeCroy HD4096 technology enables capture and display of signals with 16 times more resolution than other oscilloscopes, up to 8 GHz bandwidth and 20 GS/s sample rate. Waveforms captured and displayed are cleaner and crisper. 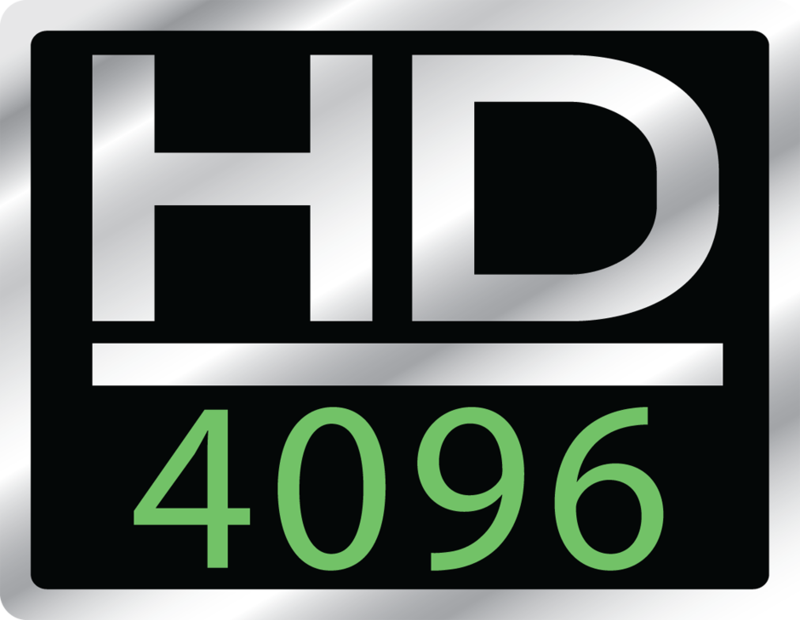 Signal details often lost in the noise on other oscilloscopes are clearly visible and easy to distinguish with HD4096. 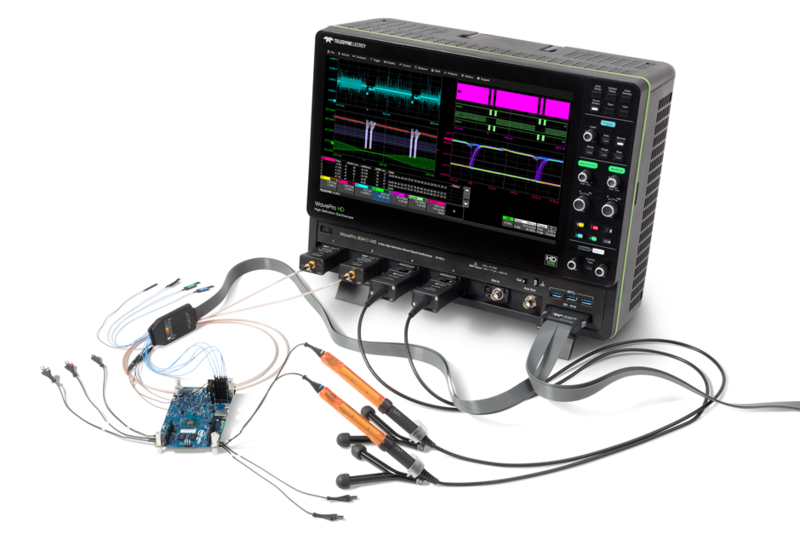 HD4096 enables oscilloscopes to deliver unmatched measurement precision for improved debug and analysis. High-resolution performance comes with no special operating modes or compromises on bandwidth or sample rate. 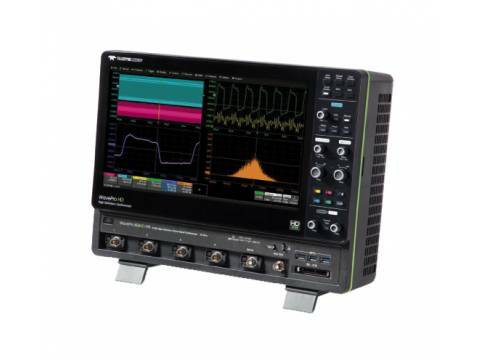 With up to 5 Gpts of acquisition memory, WavePro HD 12-bit oscilloscopes capture events occurring over long periods of time, while still maintaining high sample rate for visibility into the smallest details. A sophisticated acquisition and memory management architecture makes even the longest acquisitions fast and responsive. WavePro HD can capture 250 ms of data at full 20 GS/s sample rate - and always with 12 bits of resolution. Oscilloscopes with less memory require trading off sample rate for acquisition time. 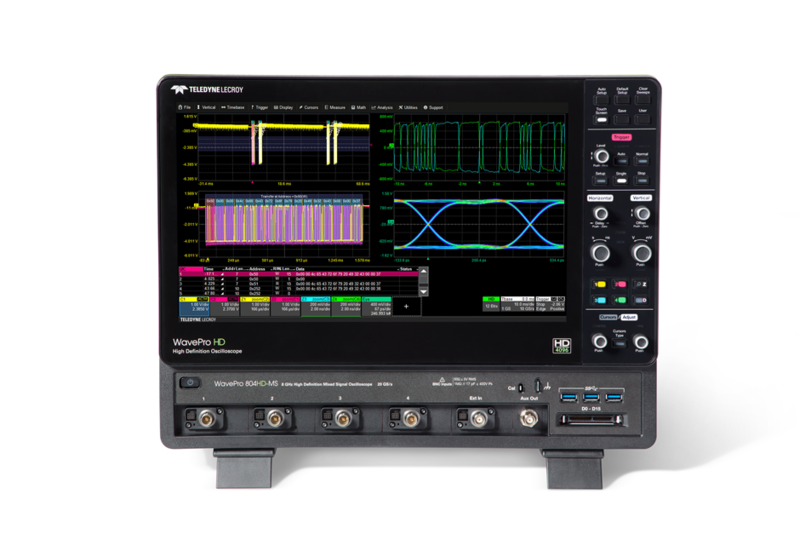 WavePro HD features the comprehensive toolset common to all Teledyne LeCroy oscilloscopes. Measurements, math functions, analysis packages and advanced documentation features are all tightly integrated, and simple to use both independently and as part of a more sophisticated measurement setup. 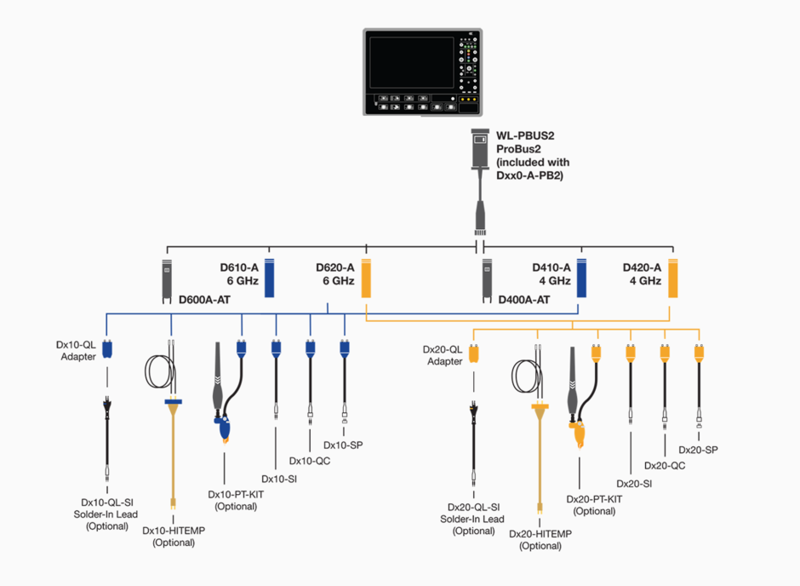 To fully realize the benefits of 8 GHz bandwidth at 12-bit resolution, WavePro HD features the ProBus2 probe interface. Based around a fully BNC-compatible connector with 8 GHz bandwidth, ProBus2 inputs can accept new ProBus2 probes up to 8 GHz, direct 50Ω coaxial connections, a wide variety of existing ProBus voltage and current probes, and passive probes requiring 1MΩ coupling. WavePro HD has unsurpassed capabilities to acquire the longest records at the highest resolution for the most comprehensive deeply embedded computing system (analog, digital, serial data and sensor) testing. Comprehensive low-speed serial data triggers and decoders, plus measure/ graph and eye diagram testing provide the best causal analysis. WavePro HD's combination of high bandwidth and high resolution provides the capability to validate and debug all aspects of power supply, delivery and consumption - ensuring complete confidence. High bandwidth means accurate characterization of high-speed on-die effects such as ground bounce, while exceptionally low noise enables identification and root-cause analysis of low-level noise sources. Sensitive measurements such as rail collapse characterization can be made with complete confidence thanks to WavePro HD's high dynamic range and 0.5% gain accuracy. 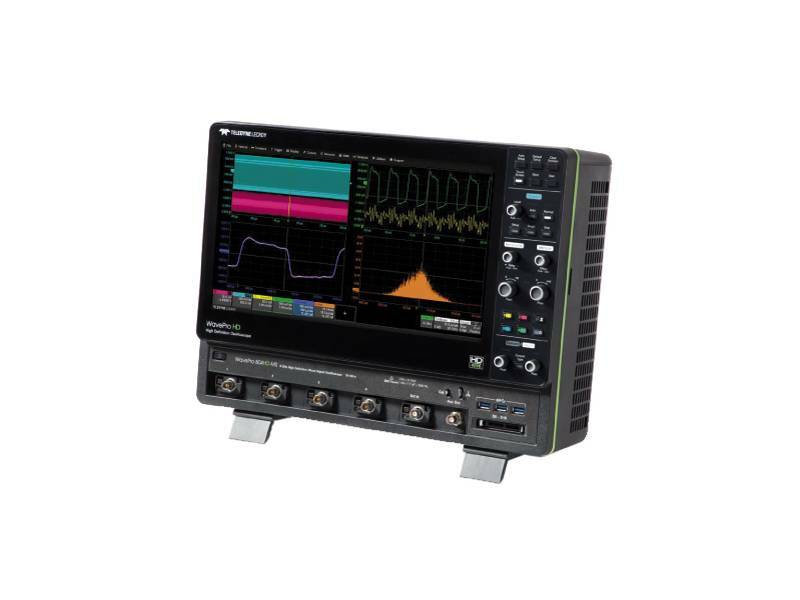 WavePro HD 12-bit oscilloscopes bring the high signal fidelity of HD4096 technology to high-speed serial data analysis. 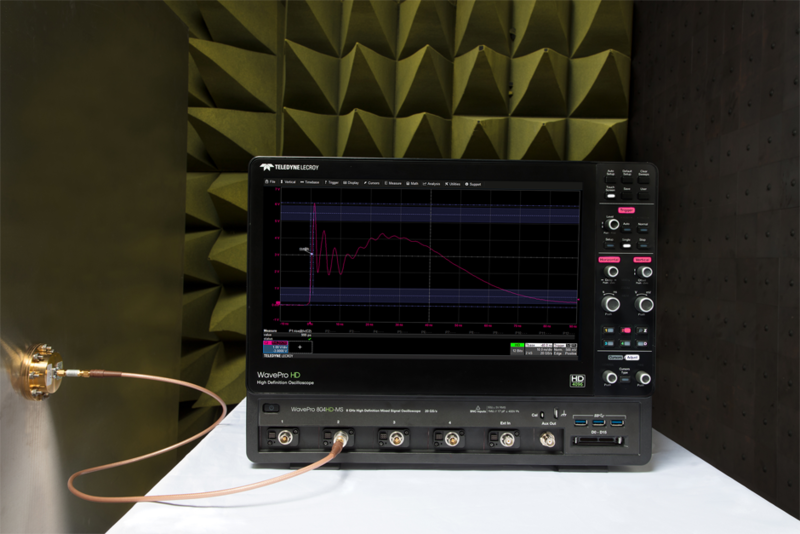 12-bit resolution, exceptionally low noise and 60 fs timebase jitter mean a low jitter measurement floor, for the most accurate serial data jitter and noise measurements possible. SDAIII CompleteLinQ provides the most complete set of serial data analysis tools available, and user-friendly QualiPHY options greatly simplify complex compliance testing. 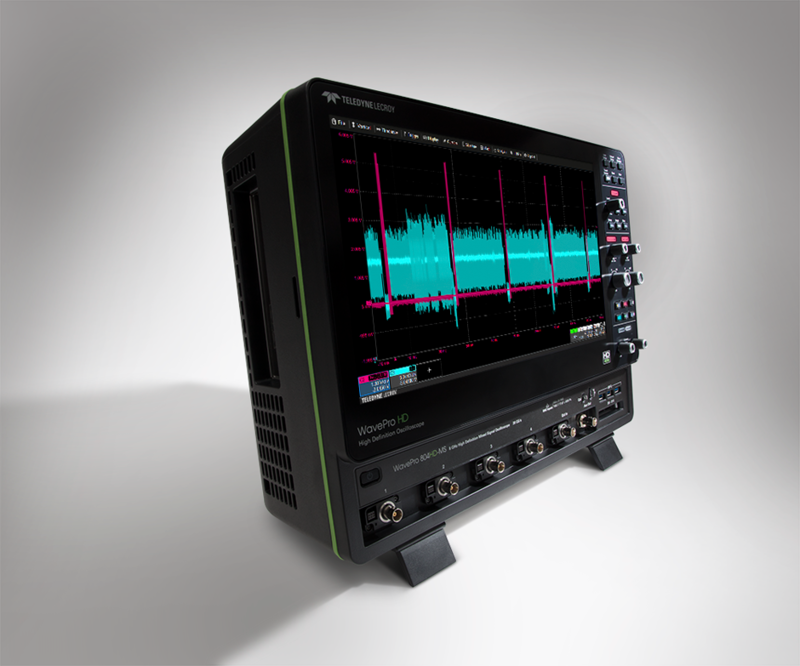 WavePro HD 12-bit oscilloscopes' high sample rate and long memory combine with Teledyne LeCroy's dedicated EMC pulse parameter package to accurately characterize EMC test signals. 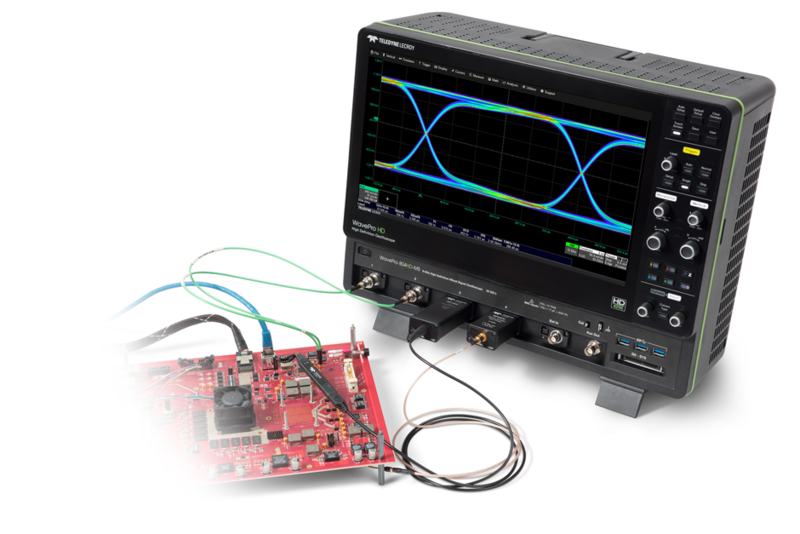 Fast pulse rise times may require 2.5 to 4 GHz bandwidth at very high sample rates to ensure measurement confidence. WavePro HD provides the most accurate characterization using 20 GS/s sample rate, 12-bit resolution, and 0.5% gain accuracy.